HP on Tuesday launched the new Envy x360 premium convertible notebook in India that is powered by AMD’s Ryzen processor. The new model, which comes as the successor to the Envy x360 that was showcased at the 14th Cannes Film Festival back in May last year, features an angular Damascus pattern, a display with thin bezels, and an edge-to-edge backlit keyboard. HP has also offered a bundled HP Active Pen that works with Windows Ink. Alongside the Envy x360, the company has brought its other new devices, including the HP Pavilion Tower 590 desktop, HP Pavilion 15 ultra-thin 15-inch laptop, and the HP 15 Notebook. The company has also launched the HP Envy Urban Sleeve, Envy Urban Backpack, Envy Urban Top-load, and Envy Urban Tote. “At HP, we believe in insights-driven innovation that enables us to deliver the PC experiences that users want. 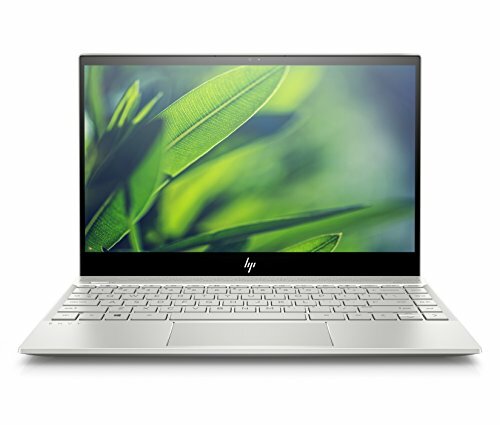 The HP Envy x360 is a combination of sleek design, optimum performance and quality at an affordable cost,” Vickram Bedi, Senior Director, Personal Systems, HP Inc. India, told reporters here. The convertible features the all new HP Command Center which lets users optimise system performance, fan noise and temperature with its CoolSense technology. The device supports Gigabit Wi-Fi speeds, to provide fast internet connections for demanding streaming apps for movies, music and gaming. The unique design of the laptop draws inspiration from hand crafted pieces that feature the Damascus pattern — a high precision technique used in manufacturing specialty knives, known to be tough and durable, the company added. AMD Ryzen processor gives performance up to 12.5 hours of battery life, charging from zero percent battery life to 50% on 45 minutes charge with HP Fast Charge technology, the company claimed. The Corning Gorilla Glass NBT touchscreen gives highly intuitive reaction, with HP Active Pen for a seamless and natural work experience. The device is available in Dark Ash Silver colour with an angular Damascus pattern, thin bezels and edge-to-edge backlit keyboard. The new HP Envy x360 ₹ 129,278 comes with a starting price of Rs. 60,990 and will go on sale in the country starting November, while the HP Pavilion 15 will be available with a price tag of Rs. 62,990. The HP 15 Notebook and HP Pavilion Tower 590, on the other hand, are available now with a starting price of Rs. 36,900 and Rs. 22,990 (excluding GST) respectively. The company is also selling the HP Envy Urban Sleeve at Rs. 1,999, Envy Urban Backpack at Rs. 4,999, Envy Urban Top-load at Rs. 3,999, and Envy Urban Tote at Rs. 4,499. Pre-bookings for the HP Envy x360 have already been started in India through HP’s official online store. Notably, customers pre-booking the notebook before October 25 will also get an HP Envy Top-load bag worth Rs. 3,999 at no additional cost.